In increasing living standards, sustainability and livelihoods and eliminating poverty, gender equality and education are seen as some of the main means. This is further recognized in the Millennium Development Goals, as goal 3: 'Promote gender equality and empower women'. 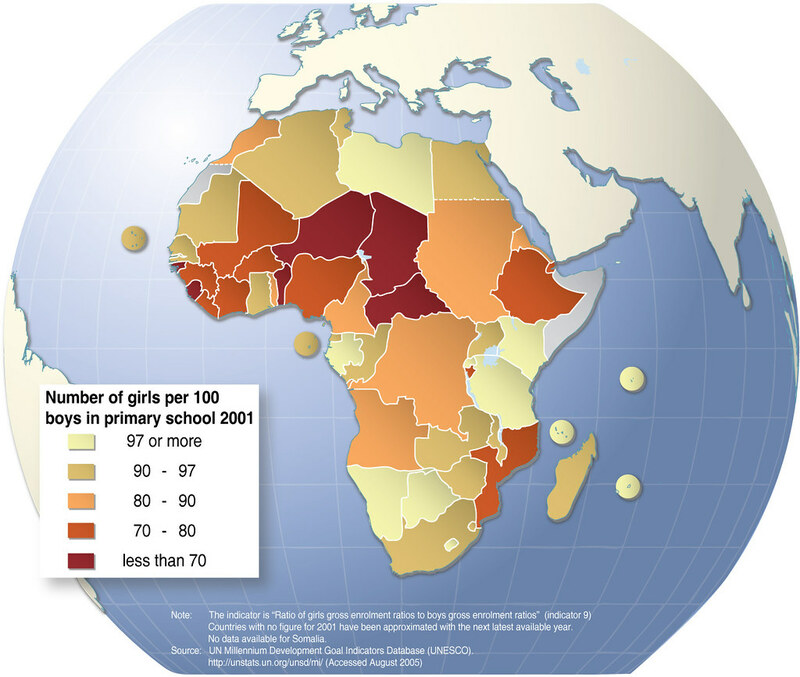 This map illustrates one of the indicators for indicator 9 (target 4) under this goal, and the Millennium Project assesses the current progress in reaching the goal as good for Northern Africa, and recognizes advancements in Sub-Saharan Africa, but there it is still lagging for reaching the goal.